Victorian Minister for Energy hosted an energy efficiency roundtable on Thursday March 12, as the Andrews government gears up to reshape state energy policy. Victorians have high hopes the Labor government will throw its weight behind the renewable energy sector which languished under the Bailleu and Napthine administrations, and is now stalled by Prime Minister Tony Abbott’s attacks on the Renewable Energy Target (RET). Improving Victoria’s energy efficiency performance is crucial to shrink the carbon footprint of the state. Friends of the Earth support policies that will increase energy efficiency and is a proud member of the One Million Homes Alliance. As Yes 2 Renewables readers are well aware, accelerating the rollout of renewable energy is the other way to get the state’s carbon budget back under control. 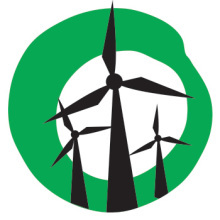 After a strong community campaign in 2014 by Yes 2 Renewables; Surf Coast Energy Group; and the Macedon Ranges, Riddells Creek, Geelong Sustainability Groups, the Andrews government committed to remove the worst aspects of the Coalition’s anti-wind farm laws (though it should implement additional reforms) and support community energy projects. The Andrews government will remove the 2km right of veto that allowed householders to block wind farms. This measure will be replaced by a 1km buffer zone (in line with New Zealand noise standards). The planning minister will return to the ‘responsible authority’ status, taking the burden of assessing planning applications from over-stretched local councils. The government will also allow community projects to be exempted from the wind farm “no-go zones” established by Premier Ted Baillieu. 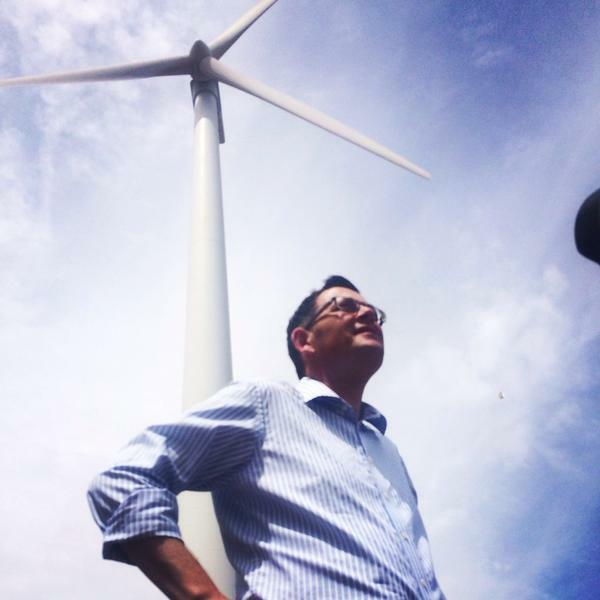 Premier Dan Andrews at the Challicum Hills wind farm near Ararat. What else is known about the Andrews government’s renewable energy agenda? In the lead up to the 2014 election, Labor pledged to create a $20 million New Energy Jobs Fund, which will offer grants to companies and community groups developing renewable energy projects. 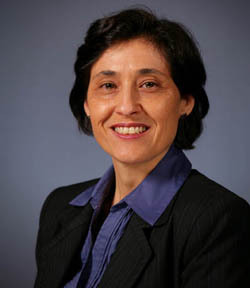 With the Daniel Andrews government’s commitment to renewables; The Greens’ strong advocacy in the Parliament; and Coalition creating the first shadow minister for renewable energy, Victoria is set to enter a new era. With political leadership, Victoria will once again be the place to be for renewable energy! At long last we might get some commonsense legislation and outcomes and move Victoria into a clean energy future. I have been informed by my electricity supplier, Energy Australia that the Victorian solar buyback rate has been reduced from 8c to 6.2c per kilowatt hour. I think that the state government should increase rather than lower this rate to encourage more residents to install solar systems. We know the ecological benefits of renewable energy but in order to persuade more people to consider going solar there must be some kind of economic incentive, a carrot, on offer. l think we have waited long enough, good on you for actively pursuing clean energy. l am one of the many that are keen to get good results as our working career depends on it. l think Portland , Victoria should be part of an active campaign. Not only do we manufacture wind turbines, but we also house Wind Farms. Our town is slowly grinding to a halt, there are not enough jobs to go around.